42West entertainment PR powerhouse has added Bianca Bianconi to its New York Talent team, according to a report on Deadline. Bianconi comes to 42West from Slate PR, where she was a VP of publicity in New York. Before that, she spent nine years at PMK-HBH. Bianconi brings a client list spanning film, television, music and fashion to 42West, including Liv Tyler, Rufus Wainwright, Christian Siriano, Electric Lady Studios, and Mena Suvari. Her associate, Devin Sauschuck, will be coming to the agency with her, joining the staff as a junior publicist. 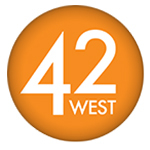 42West has also announced an initiative that will bolster its ability to create original content for clients, spearheaded by co-CEO Amanda Lundberg. Mower has tapped Christine Dougherty to lead its Buffalo office, assuming the title of senior vice president, managing director. Dougherty joined Mower in 1999, most recently serving as vice president, account director. 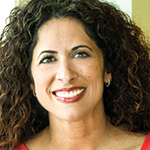 She leads the agency’s New Moms Specialty as well as its Shopper Marketing practice. As head of Mower’s Buffalo office, Dougherty will be responsible for driving regional growth, managing the operation of the Buffalo office and its collaboration with the agency’s other eight offices. She is Mower’s third female office head and member of the agency leadership team. PAN Communications has promoted Matthew Briggs to VP. 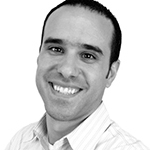 Briggs has been with the agency since 2009, most recently serving as senior account manager. He has helped oversee tech and healthcare accounts including Maestro Health, Fuze, PROS, Quanterix, Mercury Systems, and UpWell Health. In his new role, Briggs is responsible for the strategic planning, storytelling and implementation of key services and programs for several B2B tech and healthcare clients. He will also play a critical role in development and performance management.